When I first heard of carpaccio some strange image of fancy food appeared in my mind. I thought carpaccio is reserved for exclusive and expensive restaurants and refers to the top of those tasty bites that celebrities usually order to show off, without being aware of what they really order, just because it sounds fancy. However, visiting small and simple restaurants across the Mediterranean I have noticed that reality about carpaccio is, in fact, very different. Almost all decent local restaurants serve some kind of carpaccio for an acceptable price. When I discussed this subject with a chef I occasionally sail with, I found out that carpaccio is in fact very easy to prepare and becomes more delicious as soon as you prepare it by yourself. It is all about thinly sliced meat or fish, treated with acidic liquids (lemon juice, vinegar, wine etc.) and served as appetizer. 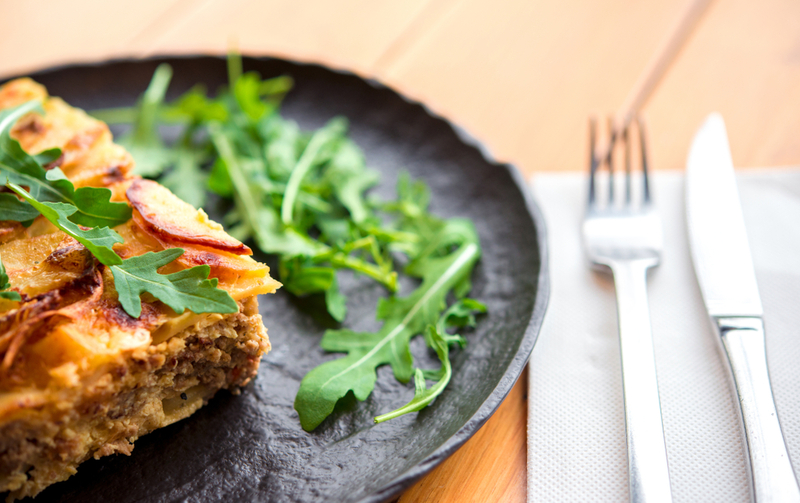 This tasty dish originates from Italy where it was prepared for some countess because her doctor recommended her to eat raw meat. Firstly carpaccio was prepared of beef, veal or venison and was named after Venetian renaissance painter Vittore Carpaccio who used to paint in specific red tones which reminded on raw meat. Afterwards, when carpaccio gained its popularity, chefs started to experiment with raw fish so salmon or tuna carpaccio became renowned appetizers aside of meat carpaccio. 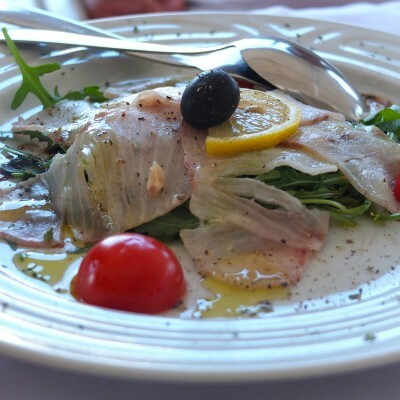 When sailing it seems more appropriate to prepare fish carpaccio so I would like to explain to you how to prepare this delicacy during your sailing trip. When preparing carpaccio on board you should get up early and go to the closest fish-market, especially if there is no fish at the end of your fishing rod. Choose dark red tuna fillets, sea bass or squid. In fact, any fish would be delicious but those mentioned are my favorites. 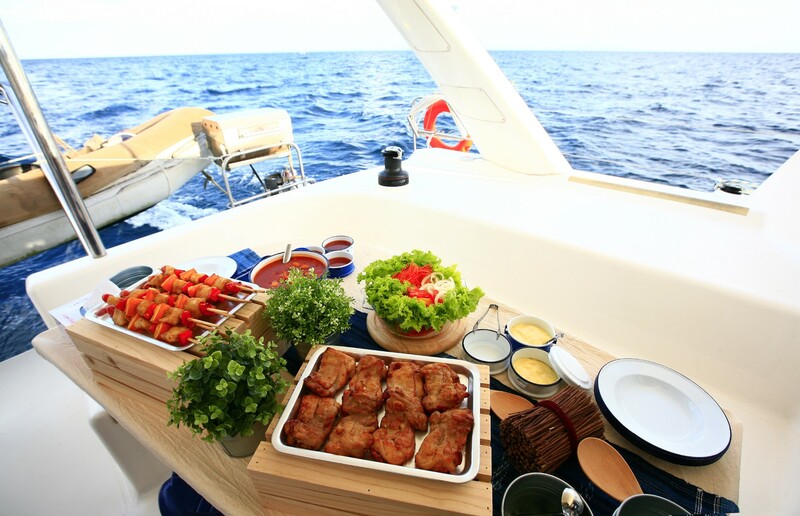 Get back on the boat and place the fish in the coldest part of your refrigerator, preferably in the freezer. When the fish is half-frozen cut it into tiny slices. Squid should be cleaned and is not necessary to be placed in the fridge, just cut it into small rings. The cut slices should be drowned in a mix of lemon juice and white wine and left there until they turn white. Serve your carpaccio on top of the nest of arugula or lettuce and season it with extra virgin olive oil, ground salt and pepper and balsamic vinegar. You also might enrich it with ground grana padano cheese, or any other hard full-fat cheese, pickled capers and salted (or marinated) anchovies. So, this ‘exclusive’ dish is easy to prepare and tasty to eat, especially with a sip of chilled dry white wine. Add to this a view of a romantic sunset, gentle rocking of your yacht, sound of the calming sea and the pleasure would be complete for sure.